This is the second book that I've read in this series. I didn't enjoy this one nearly as much as the previous book. Wolf is a hard character for me to like. He seems so naive and strange. He loves Olivia, but then uses her throughout the story. Then you have the issue that he seems to be manipulated so easily by several people in his life. Olivia is a tough woman. I thought she was a stronger character, but still felt that she was missing something. She was so sheltered that it was hard to believe that she would've been able to see what truly was going on around her. She wanted Wolf to choose her and I can understand that. But in the end, her story was almost about getting even for Wolf. They had decent chemistry and there were a lot of emotions floating around. Overall, this had potential, but just didn't deliver for me. 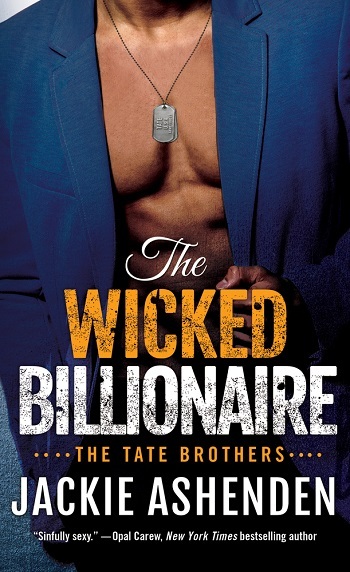 For reviews & more info, check out our The Wicked Billionaire post. Jackie Ashenden lives in Auckland, New Zealand with her husband, the inimitable Dr Jax, two kids and two cats. When she's not torturing alpha males and their stroppy heroines, she can be found drinking chocolate martinis, reading anything she can lay her hands on, posting random crap on her blog, or being forced to go mountain biking with her husband. 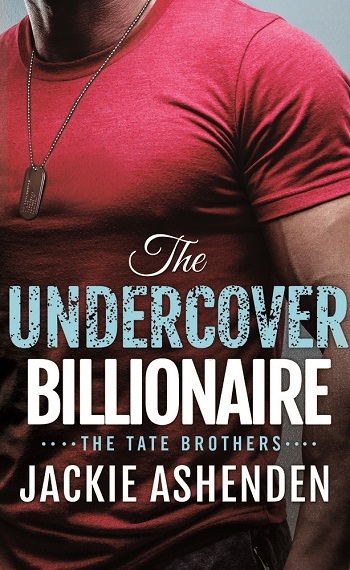 Her books include Hollywood Blackmail, In Bed with the Billionaire, Kidnapped by the Billionaire and Make you Mine. 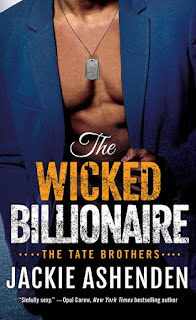 Reviewers on the Wicked Reads Review Team were provided a free copy of The Undercover Billionaire (Tate Brothers #3) by Jackie Ashenden to read and review.